What IS it with Fatboy Kim (sorry, Norm) and MICROPHONES? Whenever he gives a speech, he has a ROW of them (generally 6-8) in front of him. 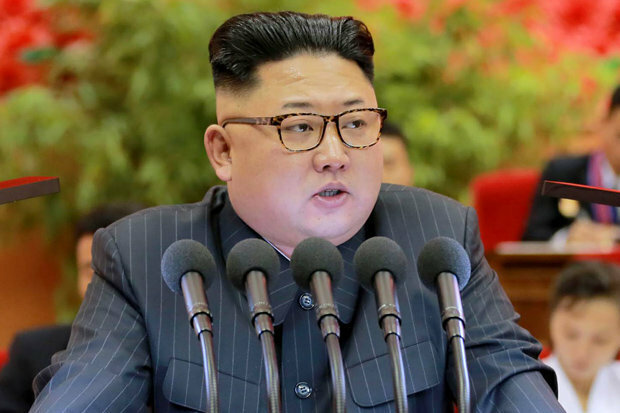 Do North Korean mics have RELIABILITY issues? If it is one for each network, have they never heard of MIXERS? Or is he like one of those custom car nuts in the Seventies; buying a clapped-out old Cortina, then sticking half-a-dozen chrome pipes out the back, to kid those following that he has a Rolls-Royce Merlin engine under the bonnet – instead of the 1,300cc Ford four-pot that actually lay there? Even TRUMP only needs ONE mic. And despite his constant FIDDLING with it, during the Presidential Debates, it always WORKS. Unfortunately. And now the fate of the World lies in the tiny hands of these two clowns, with their extreme hair and obsession with damn MICROPHONES.